Concordia Publishing House (CPH), Lutheran Hour Ministries (LHM) and the Synod’s Worship ministry are offering new Lenten resources for 2016. 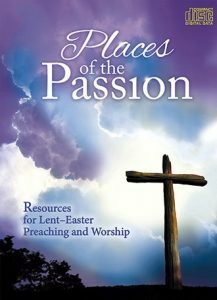 “Places of the Passion,” by the Rev. Dr. David R. Schmitt, is the title of CPH’s Lent-Easter 2016 worship series. The theme, which draws inspiration from the Gospel of Luke, focuses not “on the physical locations of our Lord’s passion, but on the spiritual wonders of his work: the places where he demonstrates his strength in the midst of our weakness, his timeless love in the midst of our temporal darkness,” according to the CPH website. To order the “Places of the Passion” CD-ROM ($44.99, item no. 155216WEB) — which contains the full set of resources — contact CPH at 800-325-3040 or visit cph.org/lent. Standard bulletins ($8.50 per package, item no. 840973WEB) and a booklet of daily devotions ($2.49, item no. 124460WEB) also are available along the same theme. Prices quoted do not include shipping charges. LHM’s devotions for 2016 are titled “Love’s Greatest Sacrifice.” The free resource, written by the Rev. Wayne Palmer, examines the final events of Jesus’ passion as recounted in Luke 22–23. Listen to the podcast or as an audio file. Congregations may download the devotions now to personalize and print for distribution to members and nonmembers. Click here to download the devotions. Again this year, LHM also is offering Lenten devotions in Spanish. Titled “Por nosotros” (“For Us”), the devotions are available in PDF format. Learn more here. For more information, contact LHM at 800-876-9880 or lh_min@lhm.org. 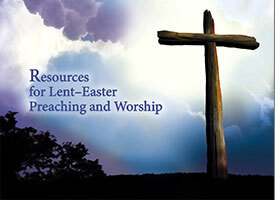 LCMS Worship is providing two free, downloadable resources for Lent. Brief devotions designed for LCMS families to use in the home also are available. To download these resources, click here.